Have you ever wanted to try a brave lipstick trend like a classic red lip or a dark wine pout? I’ve been there too. Sometimes you get just the right color and you think “I am so glad I did this-it’s exactly the change I needed”. More often than not though your response is “Why did I think I could pull this off?” or “Where would I wear this?”. Yep, been there too. 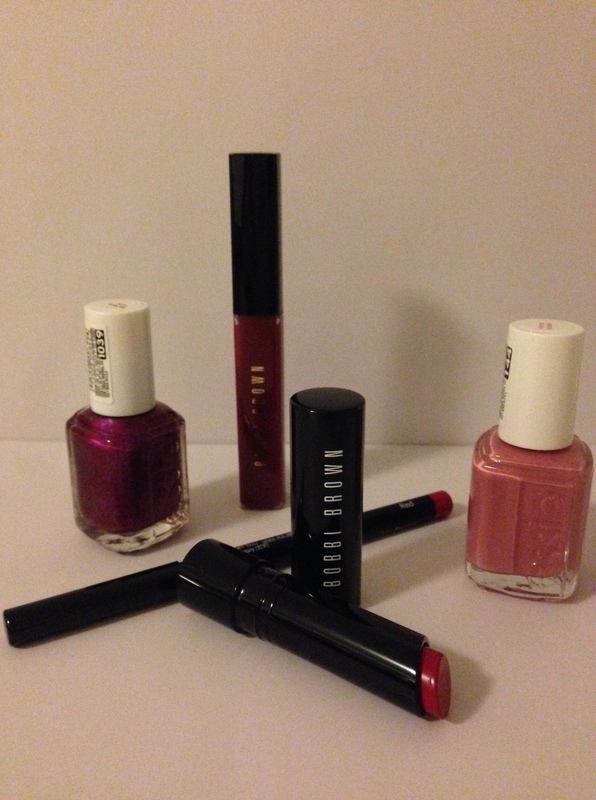 This holiday season I was determined to rock the bold classic red lip that was featured in Bobbi Brown’s email. The model was fair, like me so I thought if she could pull it off, I could too. When I actually tried the look out, it didn’t look bad but it just wasn’t me. I’m a more natural but polished kind of girl and I just felt uncomfortable. Before I went to return it, however I tried some tricks in order to make it more “me” and voila, I salvaged the lipstick and now I have a new rosy lip look. If you have had the same sort of experience with a lip color that just didn’t turn out how you wanted, before you return it, try the below tricks to see if you can make it fit into your lifestyle. 1. First make sure your lips are nice and smooth to start with. The cold has reeked havoc on everyone’s skin, especially our lips. Try exfoliating them and then applying a nice balm after on a regular basis (nightly if you like). You can buy lip exfoliants from brands like Fresh and Sara Hipp but its really easy to make it at home. Mix a little oil and sugar in your hand and then rub over lips after wetting them with warm water for about 30 seconds. Wash off with warm water and then apply your balm. Don’t have any sugar? An old toothbrush will also work. This step is important because the more chapped your lips are the more they will stand out (in a bad way) when you apply a statement color lip. 2. 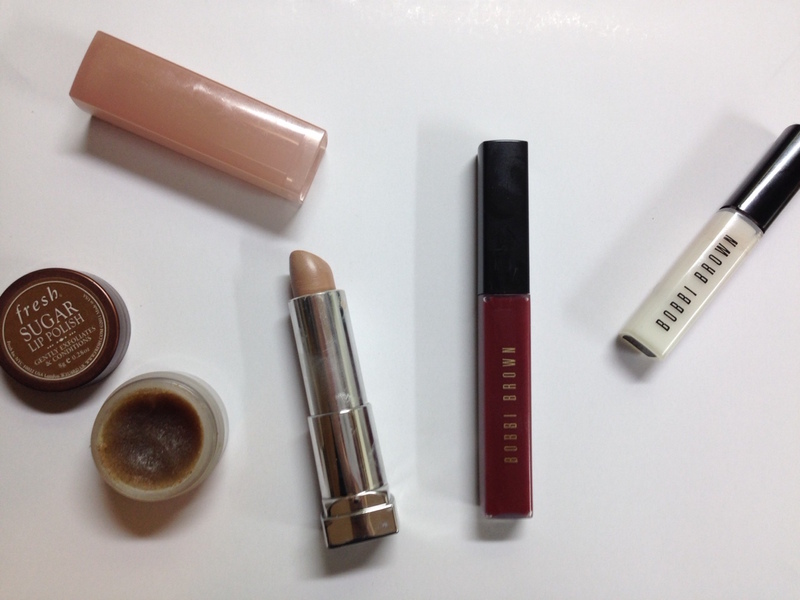 Apply a muted lipstick. I have one that I like from Maybelline that I wear on its own called Raw Reveal. If you don’t have a muted lipstick that’s ok (but consider getting one-they are really great when you want to create a feminine look. I love big lashes and muted lips) you can use a cream or liquid foundation or a concealer. This purpose of this step is to tone down your color but it will also help your color adhere to your lips. Bonus! 3. Apply your color choice. I like to apply with a lip brush as you have more control in putting the color exactly where you want it. If you don’t have one, you can apply right from the tube but GO EASY. Do not put a lot of pressure on the lip as you did with your muted lipstick. Apply until you feel comfortable with the color depth and then finish by rubbing your lips together to blend step 2 and 3 together. Your color should resemble the one in the tube but should be a softer, less aggressive version. 4. If you like your look feel free to call it a day and be done. I personally love to end the look with a pearly, brightening lip gloss. The gloss does a few things for this look. It makes it less “I’m on the way to the Oscars” and more “I’m running to a meeting and look pretty” which makes it appropriate to wear in everyday situations. It also brightens the look up with a white color and it gives it sheen. 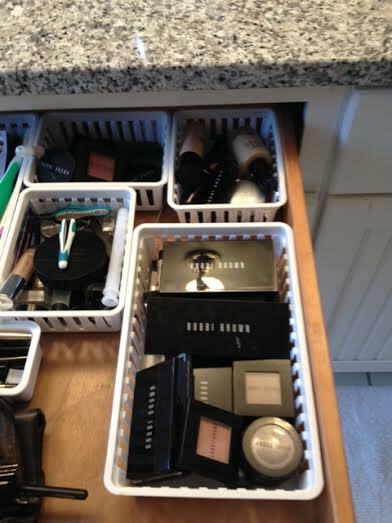 My favorite (surprise, surprise) is Bobbi Brown’s Brightening Lip Gloss in White. It lasts forever, is applied with a lip brush and smells like vanilla. I wear this over almost anything as well as on its own. So what do you think-want to give it a go? Hopefully this helps you feel a little bit more comfortable about going out of your lip comfort zone.